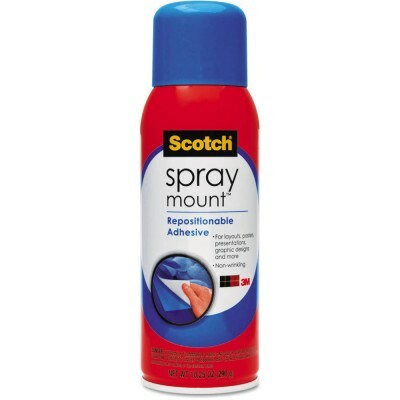 Tags: 3M, Spray Mount . 3M Spray Mount #6065 Spray Adhesive. A one surface adhesive that is excellent for short term bonding for making layouts keylining creating package design photo composition work and negative preparation. Bonds most acetate foils fabrics stat materials light tissues and newsprint. Description	Scotch Glue Sticks are strong, fast-bonding, and safe for children. Ideal for home and school use. Great for fabric, pa..
Offices and homes need supplies that can handle a wide range of jobs-making this tape an ideal addition. The excellent holding power and instant adhes..